It’s another solo podcast this week. Today I talk about Anime Icons, or images from anime that refer to anime properties but also carry meaning all on their own. Click download and have a listen. Hello Kitty brings you peace, love, and more Hello Kitty! 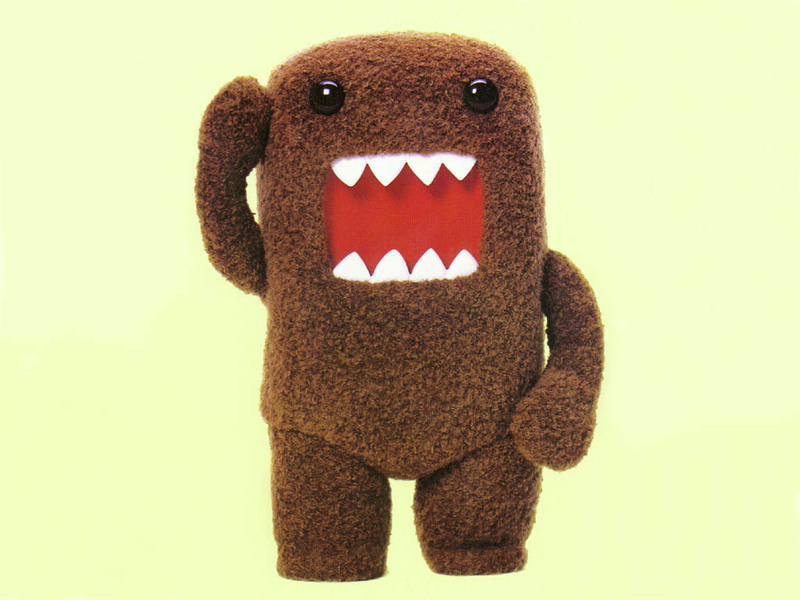 Domo is just Domo, but that could mean anything. Some fandoms grow from an original text (say, a comic book) and are represented with imagery. 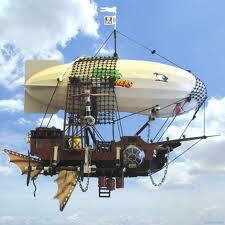 Other fandoms started with the imagery and grow a world from there. Both are cool! 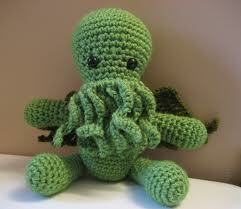 Maybe there are amigurumi crafters who have never read “Call of Cthulhu,” but that doesn’t make this little guy any less legit. 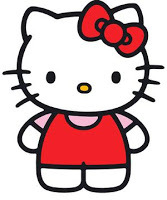 Posted on July 22, 2013 by Tamara	• This entry was posted in Art, Culture, Fandom, Politics and tagged acceptance, anime, fandom, fans, hello kitty, icons, imagery, sanrio. Bookmark the permalink.